This week our assignment was to play with cable control for movement within the context of soft robotics. In class, we made roman curtains using thread as cables, drinking straws as runners and tissue paper for the curtain itself. We also tried a few other takes on using cable designs. I decided to further explore using these materials along with other things I could find on the ITP floor. First, I secured this amazing stretchy netlike fabric. I knew immediately that I wanted to work with it, but I feared thread would be too fine to control it so I needed to find a better option to use for the cable. 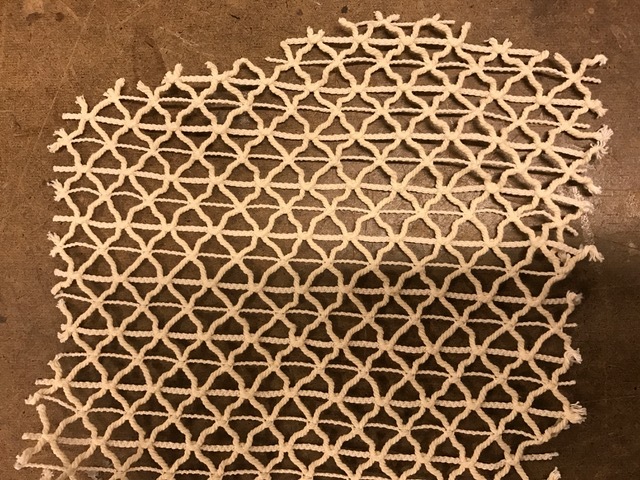 After checking out wire and yarn, I came across another great find in the soft lab. 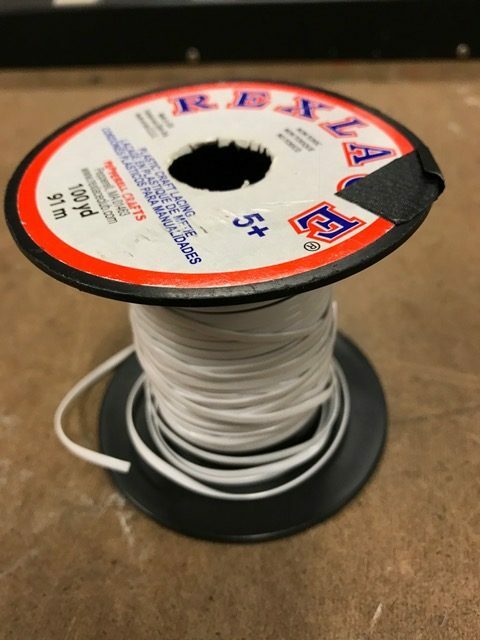 This vinyl thread seemed heavy duty enough to function well with the netting so I decided to try it out. First I threaded the cabling like we did in class with the straws to mimic a curtain/blind. 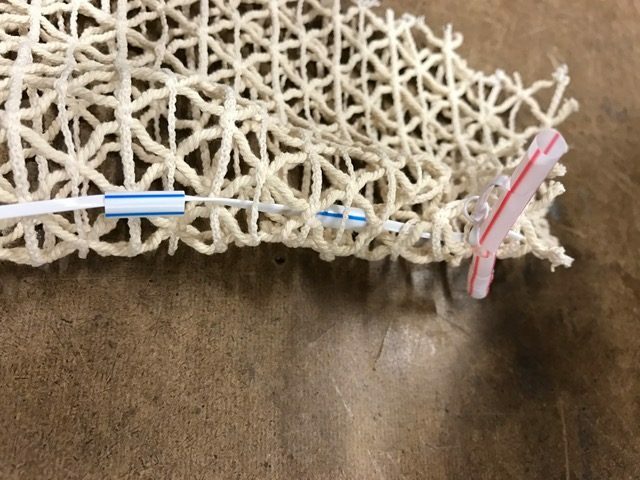 Not surprisingly, this did not work because unlike the paper, the straw would not catch on the netting, with the exception of the top piece I tied on like a “T”. 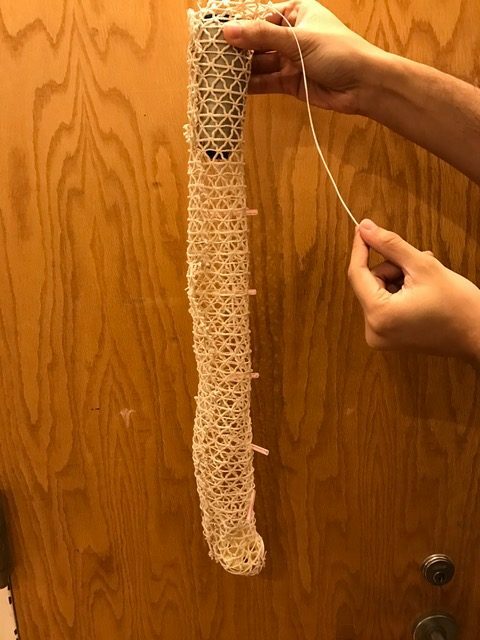 I decided to rethread the entire thing with pieces of straw perpendicular to the netting. The straw was slit open in two places by a straight edge and then I threaded the vinyl through it. 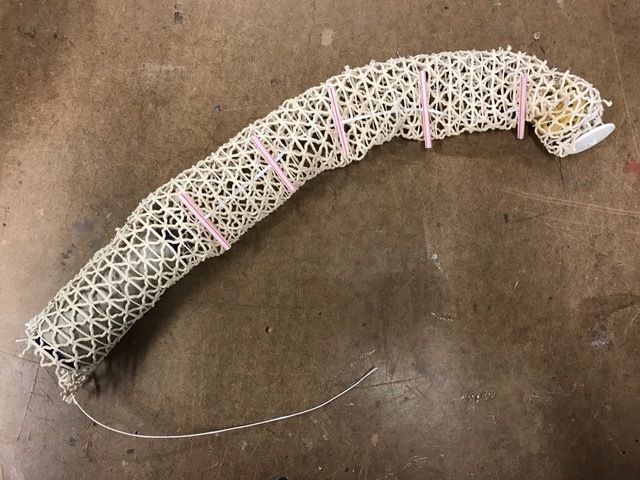 Based on the dimensions of the piece of netting and the type of movement I was playing with, I decided to try to duplicate an elephant’s trunk. As you can see above, as I played with it, I realized certain things need to happen to make the movement work. First of all, to make it like a trunk, I sealed the top with the button I had used for an earlier test. I also used safety pins to close the other side to make it like a trunk — I only wanted the cable on one side so it would bend as it pulled up. I also realized quickly that I needed something solid at the base for the trunk to retract towards so I used a large spool of thread that is closed into the netting with safety pins. The basic movement worked, but I ran into a problem. Although the trunk pulled up nicely, between the tip being too light and friction caused by the vinyl rubbing against the straw slits, the trunk did not come back down on its own without some help from me. First I tried weighing down the end with things I found around the shop that were small. I added a few nuts that I put on the vinyl string near the button, but that didn’t work. Then I decided to lubricate the slits with baby oil. That helped the movement somewhat, but did not solve it completely. And then I found a tiny doorstop, just small enough to rest beneath the button, held in by a few more safety pins — if you look closely above, you can see the brass edge of it. The lubrication and the doorstop weight together did the trick!